"Now he belongs to the ages." - Secretary of War, Edwin M. Stanton on death of Abraham Lincoln.. ""He no longer belongs to us. He belongs to the ages." --Barrack Obama on death of Nelson Mandela. Say what you will about President Obama, but you can't say he's original. Regardless, this is not a political post. 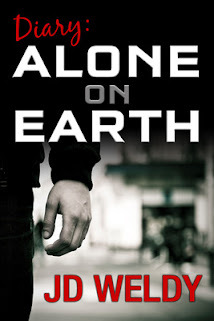 I have another blog for that. 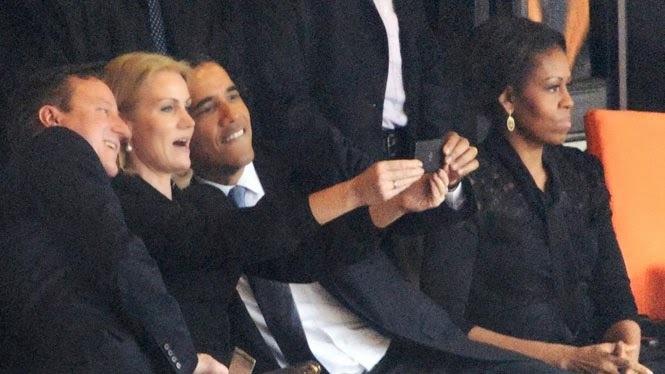 What this blog post is about is the so-called "selfie" of U.S. President Barack Obama, Prime Minister David Cameron and Danish leader Helle Thorning-Schmidt grinning as they cosied up for a quick picture at yesterday's memorial service for the former South African president, prompting an outpouring of criticism. Now, for the longest of times, I didn't even know what the hell a "selfie" was supposed to be. After I found out, I thought how narcissistic can you be? But, then I remembered that President Obama is narcissism personified. It has always been about him. Now, I'm not excusing the aberrant behavior of the other two narcissists, Cameron and Thorning-Schmidt. If this had been at another boring summit of world political leaders, I can almost excuse that. But, it wasn't that at all. This was a memorial service for a hero who fought against Apartheid in South Africa. This man was world respected for his bravery and his fight against discrimination. This was supposed to be a solemn event. For the most part, I'm sure it was a dignified event. Most mature people were dignified and respectful. The vast majority paid their final respects to this brave man, Nelson Mandela. But, three world leaders, who were supposed to be setting an example, showed how little they cared. These three individuals deserve all the criticism and consternation they are now receiving. Would it have been too much to concentrate on the event rather than themselves for one freaking day? With Obama, nothing surprises me any longer. But, the other two; well, they are no better than he is now. Prime Minister David Cameron and Danish leader Helle Thorning-Schmidt may pay a price for this insensitive action. But, Obama is definitely the "teflon president." He can get away with anything. Nothing will be said to this man-child.